alaTest has collected and analyzed 45 reviews of Sony Bravia KD-65XF7003 Series. The average rating for this product is 4.9/5, compared to an average rating of 4.6/5 for other products in the same category for all reviews. People are impressed by the durability and glare. The usability and sound are also mentioned favorably, but there are some mixed reviews about the size. We analyzed user and expert ratings, product age and more factors. 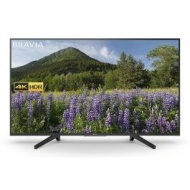 Compared to other products in the same category the Sony Bravia KD-65XF7003 Series is awarded an overall alaScore™ of 89/100 = Very good quality. I now own a 43” 55” and a 65” Sony Bravia Brilliant value for money superb quality!!! "Great quality and really clear picture. Was worried older shows may look dated on it but they are fine"
"Easy set, conect and use. The excelent picture and unbelived live color. " Fantastic picture so bright and clear. Beautiful depth of colour and amazing clarity. "This TV is awesome. The picture quality is faultless. Very happy. " "Exactly what I needed brilliant tv for the price and and very happy customer"
"I brought this TV to replace our existing Sony Bravia TV. I am really pleased the picture quality is amazing the sound quality is so good that I do not need to use my soundbar anymore. I would highly recommend this TV as it is fantastic value for money"